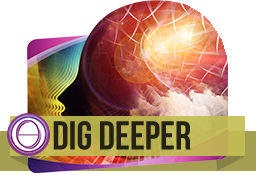 In the Dig Deeper seminar you will learn more about digging which is the primary tool used in the ThetaHealing® technique. Digging allows us to comfortably discover the deep, elusive subconscious thoughts and beliefs that can block us. The ThetaHealing® technique then uses unconditional love, belief and feeling work to clear these. This 2-day seminar is designed to train ThetaHealers® at this essential skill, to give you the solid grounding, tips and techniques you need so you are confident at digging and can efficiently find your clients key core beliefs. Successful identification of the root of the issue is necessary for beliefs to change. Without finding the core or bottom belief, changes you make may only be temporary, and remaining negative beliefs can be barriers to true healing. This seminar will empower you to help your clients understand their own behaviors and lives to emerge balanced and clear at the completion of their sessions. Tuition includes the Dig Deeper Manual and a certificate upon completion.